KANSAS CITY, Kan. – Diego Valeri scored a pair of goals, including one in stoppage time, and Portland beat Sporting Kansas City 3-2 on Thursday night to advance to MLS Cup for the second time in four years. Sebastian Blanco also scored in the second half for Portland, which didn’t even need Valeri’s clinching goal. 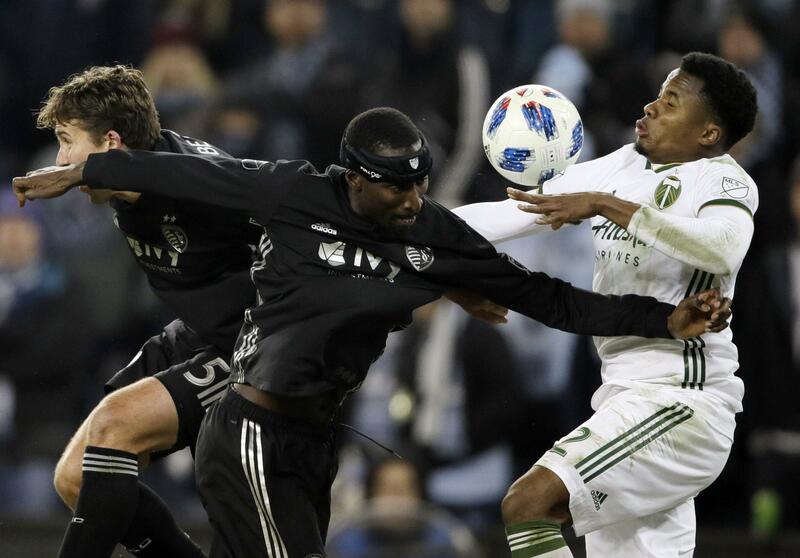 The teams had played to a scoreless draw Sunday in Portland in the first leg of their aggregate-goal Western Conference final, and with road goals being the tiebreaker, the Timbers were assured of playing for a championship even when the score was 2-2. Valeri’s stoppage goal merely allowed the Timbers to begin celebrating a few minutes early. Blanco provided it when he made a nifty move near midfield and unleashed a driving shot – the first on goal for Portland all game. It somehow found the sliver between the outstretched hand of goalkeeper Tim Melia and the crossbar to knot the game 1-all. The strike in the 52nd minute was followed by Valeri’s header off a rebound moments later, a goal that not only silenced the crowd at Children’s Mercy Park but led to a rather bizarre scene. Fans in one corner of the stadium began throwing bottles and other trash at Portland players, and referee Mark Geiger brought both teams to the sideline. Sporting KC manager Peter Vermes then stalked more than halfway across the field to admonish his own club’s fans. Sporting KC was left needing two goals to win the match and advance, and nearly got one of them in the 72nd minute. Johnny Russell’s free kick from about 15 yards glanced off Felipe Gutierrez’s head and sailed over the net as Portland goalkeeper Jeff Attinella exhaled. Published: Nov. 29, 2018, 9:01 p.m.